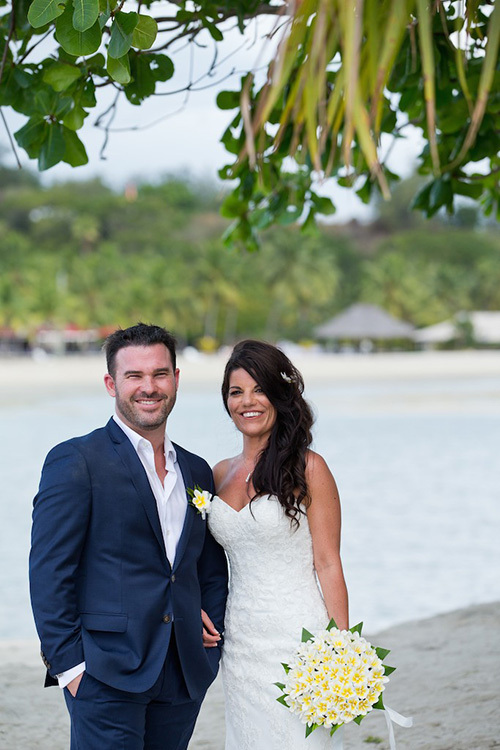 An absolutely gorgeous Fiji wedding for Christy Trigg. Her Maggie Sottero Chelsea looked amazing. 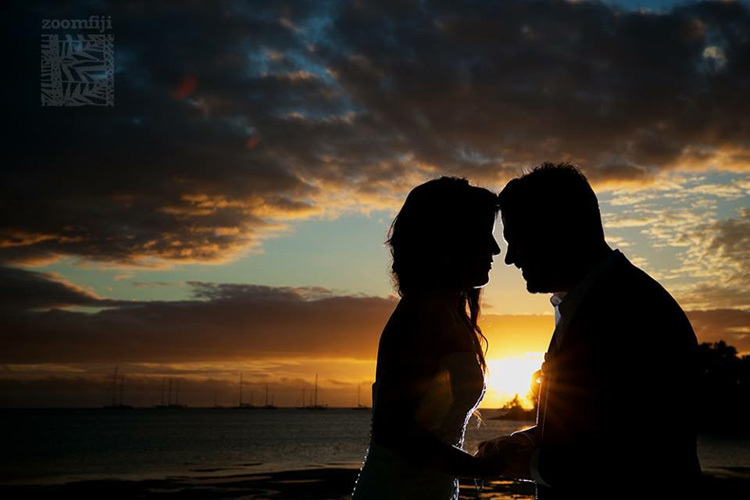 Aren't the sunsets fabulous - especially when they pick up the crystal buttons on the back of her gown!